European Starling outside its nest hole in a cherry tree. 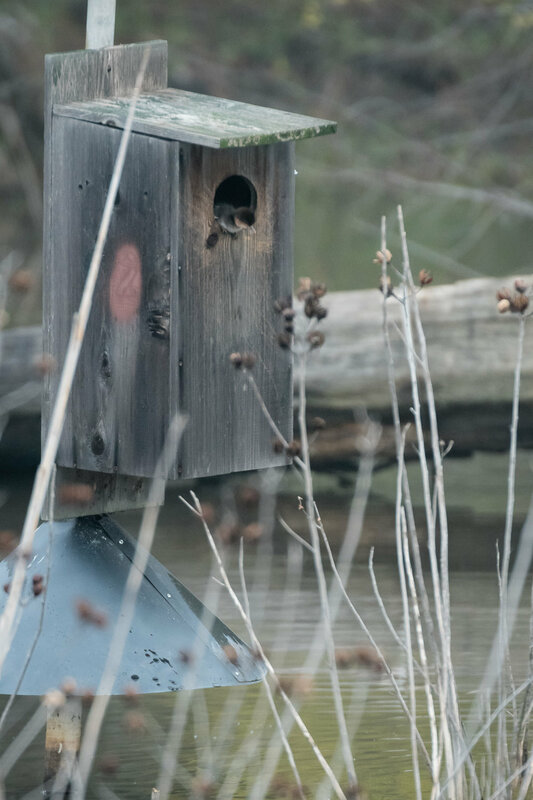 Each spring birds seek out a location to build a nest. Some birds, including these European Starlings, will find a sheltered location in which to build the nest. 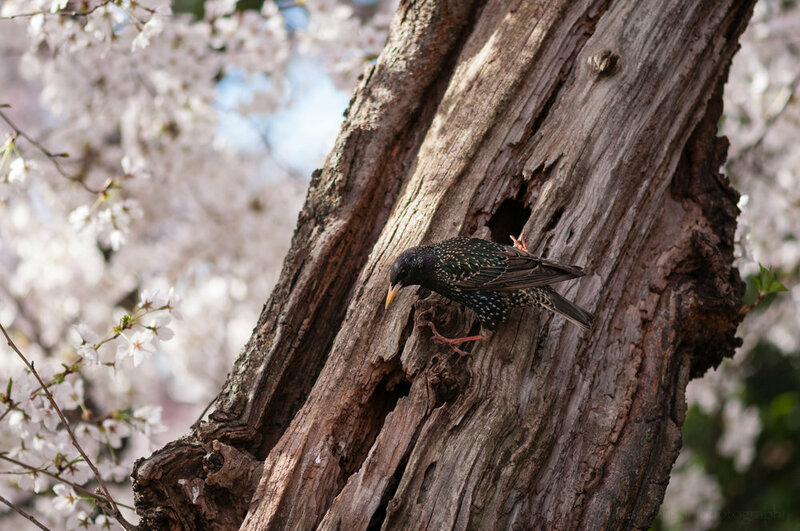 In this case the starlings are using a hollow in a cherry tree sitting along the Tidal Basin in Washington, D.C. This is a perfect location for these starlings to care for their next generation. The Tidal Basin is full of people this time of year, most coming to view the cherry blossoms. Having this many people around helps keep most potential predators away from their nest. European Starling peeking out of its nesting hole in a cherry tree. 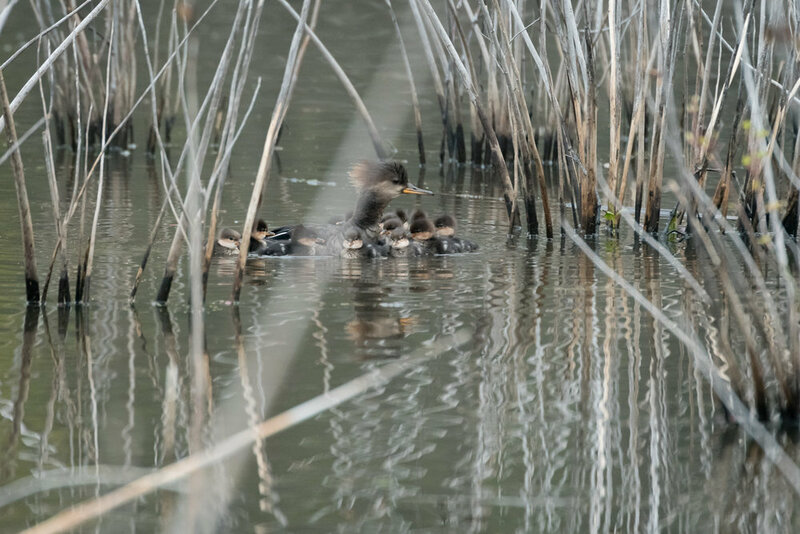 European Starlings are an introduced species to North America, though you might not realize it based on the numbers living throughout the continent. They are perfectly adapted to thrive in close proximity to people, and thrive they have. European Starling emerging from its nesting hole in a cherry tree. And yet, even though they are often considered a pest species, I still find starlings beautiful, especially during the spring. Click on the photos and look at the iridescent purples, greens, and blues as the sun reflects off their feathers, along with the wonderful speckled patterns over portions of their body. European Starling gathering nesting material in a cherry tree. Keep your eyes open when out hiking during spring. You may be fortunate enough to see a pair of birds, perhaps starlings, working on their nest. Keep your distance if you do. Don’t get too close, you don’t want to disturb the birds. But do enjoy the moment. It’s a wonderful experience watching birds during spring. The links to the books are affiliate links and I will be compensated if you make a purchase after clicking on my links. This is at no extra cost to you. Mozart’s Starling is a wonderful book about starlings and about Mozart. 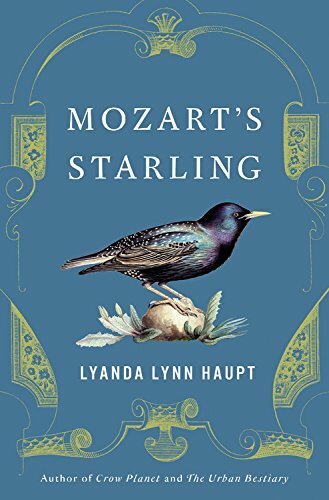 It turns out Mozart kept a pet starling, and so the author, Lyanda Lynn Haupt, having heard this decided to take care of a starling herself, while also researching Mozart’s starling. I was fortunate to win a copy of this book through a goodreads giveaway. Check out my review of Mozart’s Starling. Wings of Spring is a book for bird lovers. It is full of beautiful photographs of birds during spring, showing courtship behaviors, how birds nest, and how they care for their young. Photographer Tom Vezo has created images of birds from all over the world, and Chuck Hagner has written descriptions to go with each set of images. Take a look at my review of Wings of Spring. Spring is a wonderful time to be a bird lover. This is often the time of year when birds look their best, when their colors are brightest, their feathers most spectacular. 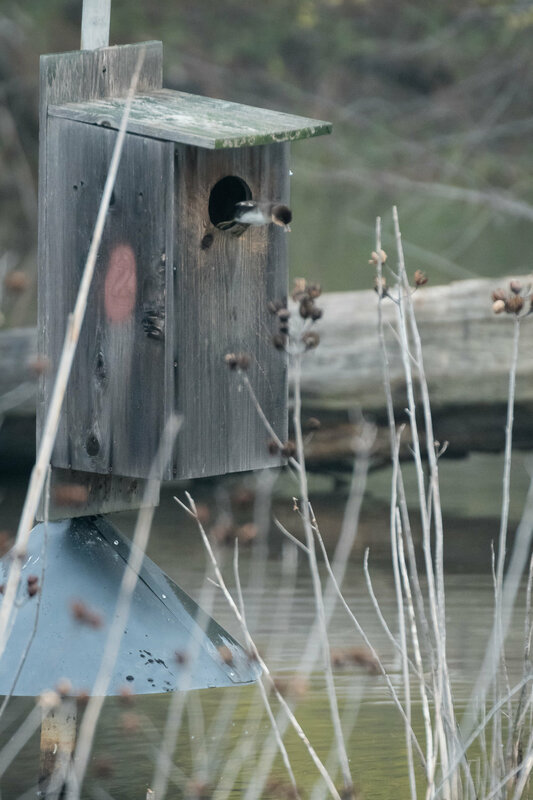 It is a time of such spectacular behavior, watching courtship displays, observing birds building nests, watching young grow, fledge, and leave the nest. 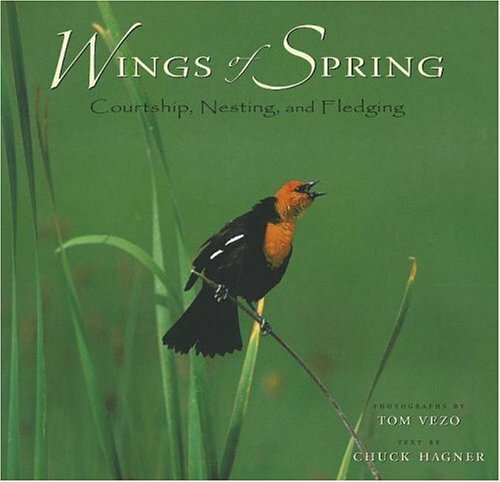 Wings of Spring: Courtship, Nesting, and Fledging, is a celebration of birds in spring, bringing us into their world and showing some of the beauty and magic we can find there. The book is organized into 4 major sections: Territory, Nesting, Nurturing, and Growing. Each section is full of beautiful photographs by Tom Vezo of many different species of birds from all over the world. 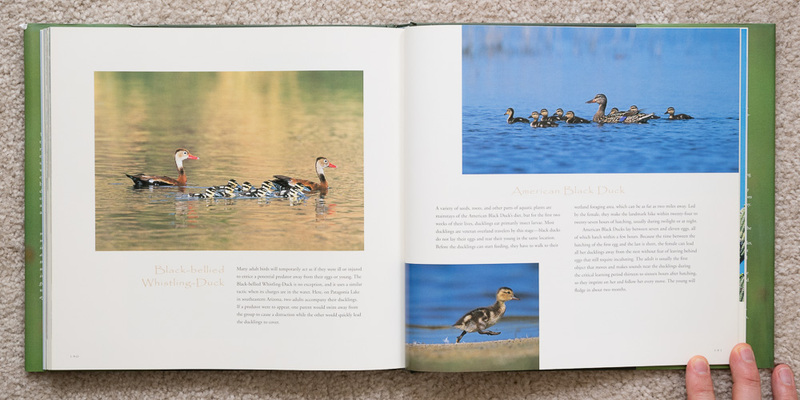 Each photograph is accompanied by a paragraph written by Chuck Hagner describing details about the the species. Wings of Spring (pages 16 - 17). Painted Bunting and Baltimore Oriole. 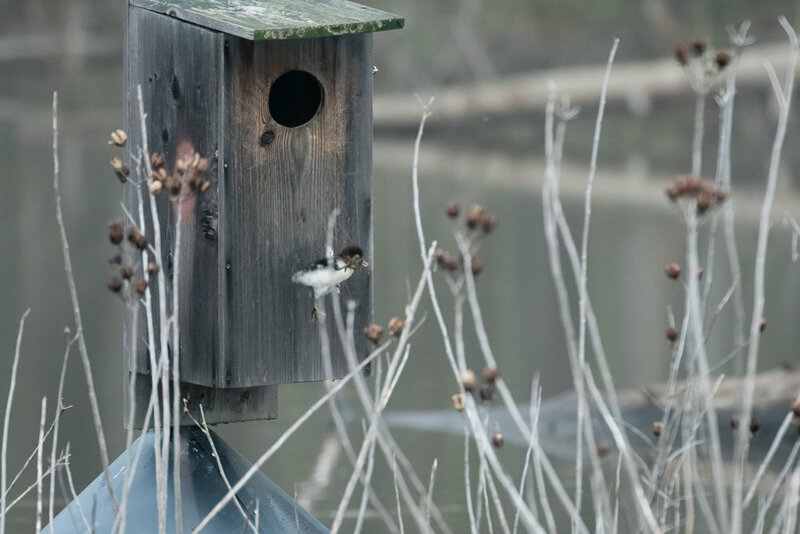 Many bird species migrate during the spring, moving from their wintering grounds to the place they will rear the next generation. Many species have particularly bright and vibrant plumage during this season, all the better to attract a mate. In the sample photo from this section we see a Painted Bunting on the left and a Baltimore Oriole on the right, both very colorful birds. Wings of Spring (pages 56 - 57). Burrowing Owl and Cliff Swallow. Once birds establish their breeding territory they have to find a nesting location and build a nest. There are almost as many different ways of nesting as there are species of birds, from tree-top nests of twigs and grass to nests of mud built on a building or cliff. 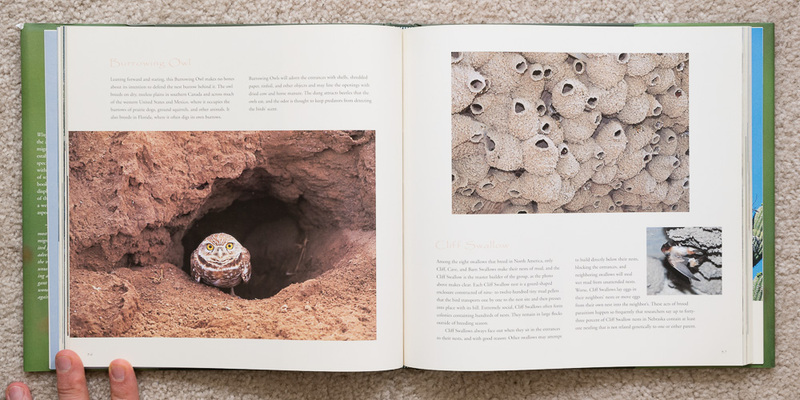 The example here shows a Burrowing Owl at the entrance to its burrow, and a grouping of nests built by Cliff Swallows. 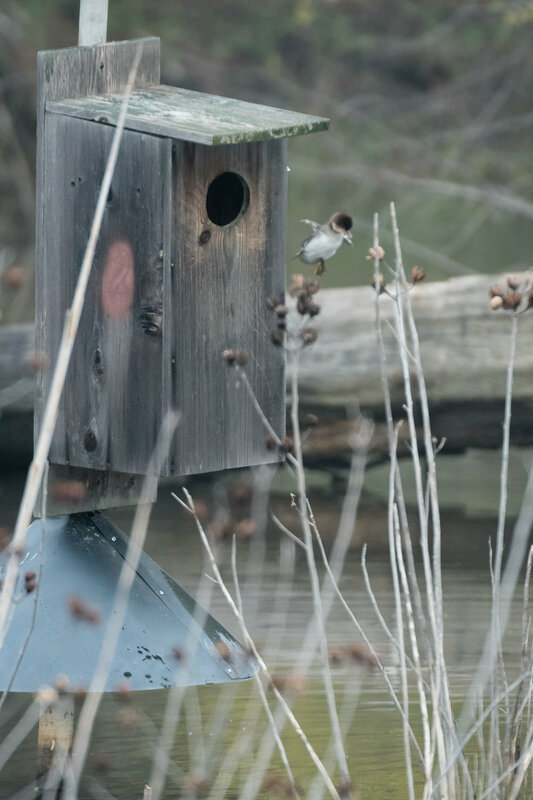 According to the text Cliff Swallows often lay eggs in the nests of their neighbors, or move eggs from nest to nest. Wings of Spring (pages 88 - 89). Great Kiskadee, Broad-billed Hummingbird, and Eastern Bluebird. 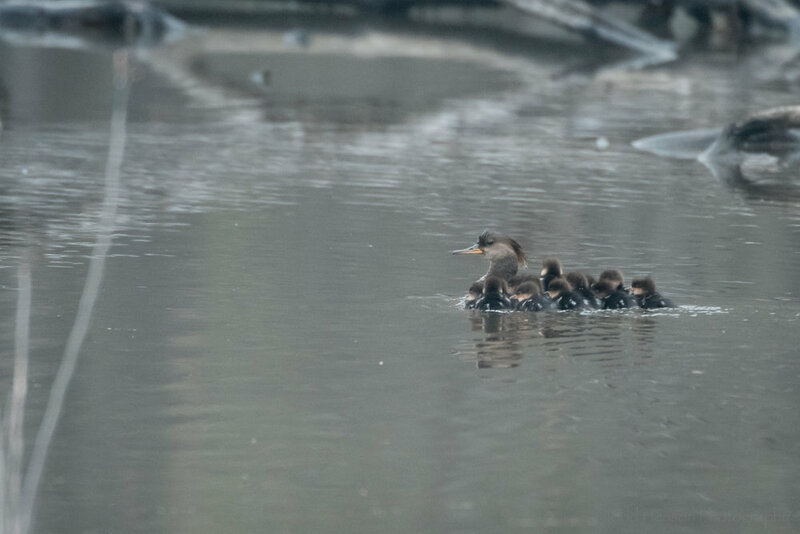 After their eggs hatch most young birds require some level of nurturing from their parents in order to grow enough to survive on their own. 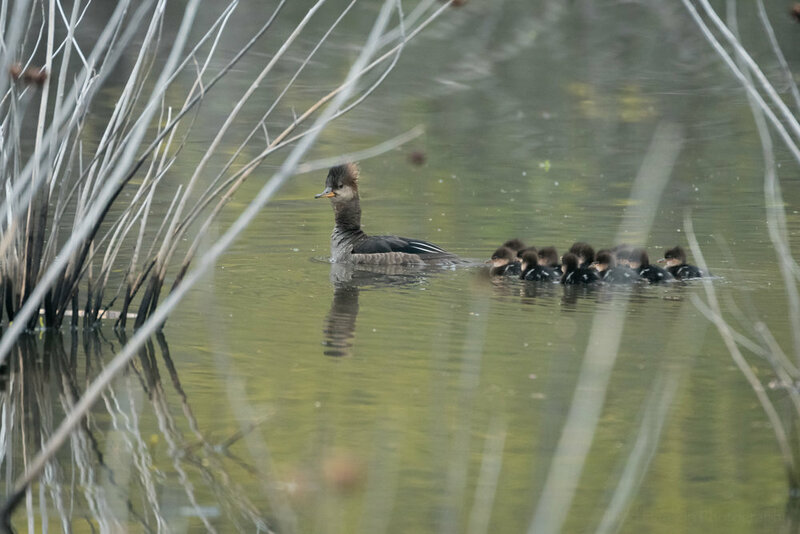 Some chicks are completely dependent on their parents, whereas others are more quickly able to move about on their own. In this sample photo we see three different species, the Great Kiskadee with a small lizard in its beak, a Broad-billed Hummingbird feeding chicks in the nest, and a couple photos of Eastern Bluebirds. Wings of Spring (pages 140 - 141). 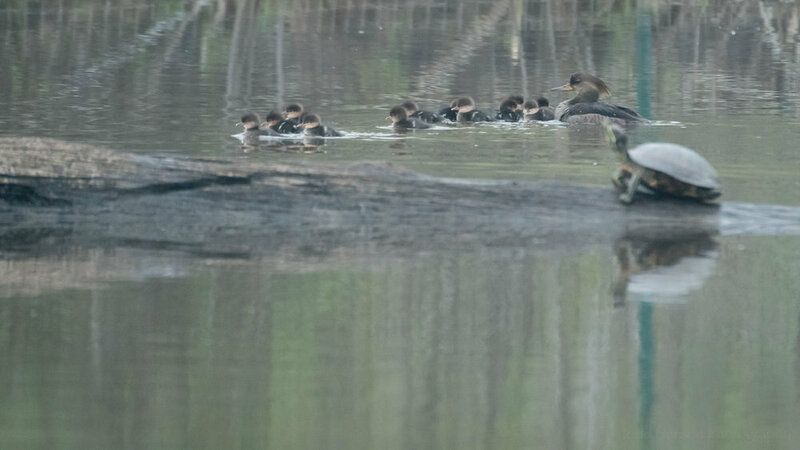 Black-bellied Whistling-Duck and American Black Duck. 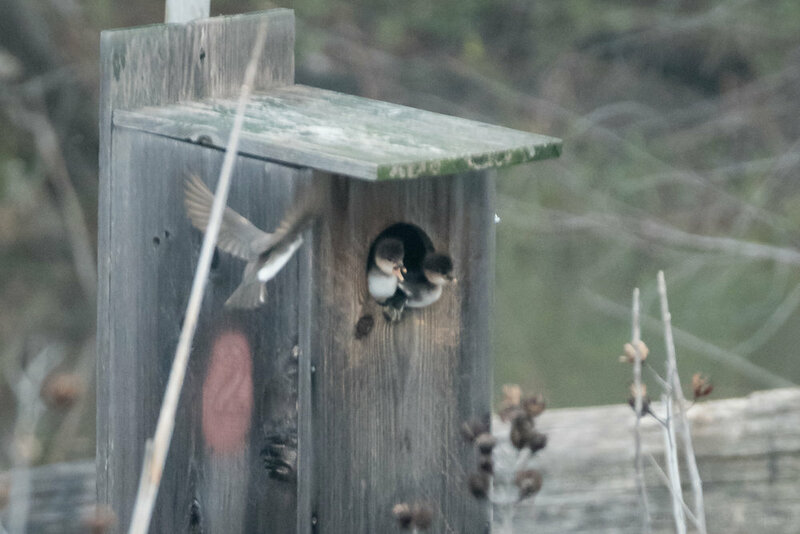 A young bird has a lot of growing to do. Many look very different when young than they will as adults. Most will eventually learn to fly, but need to first eat enough to gain the strength required to lift themselves from the ground or water. Some must learn to swim. 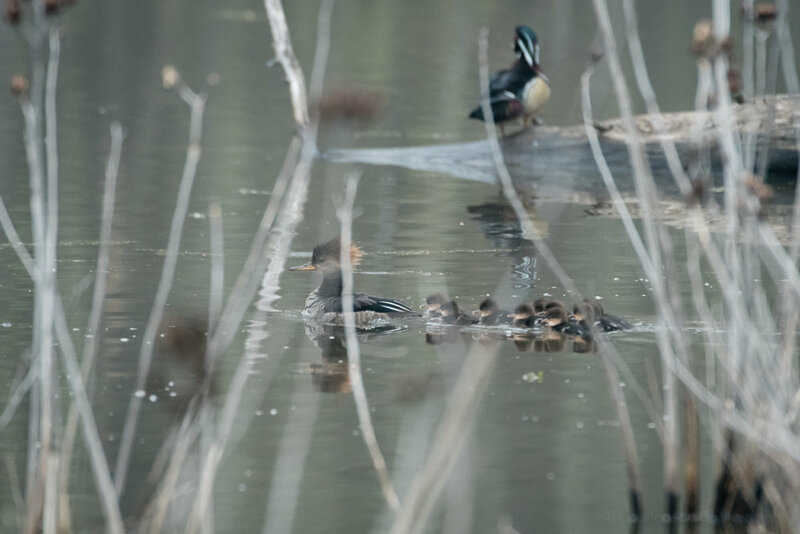 In the sample photo here we see a family of Black-bellied Whistling-Ducks on the left and American Black Ducks on the right. I very much enjoyed this book. 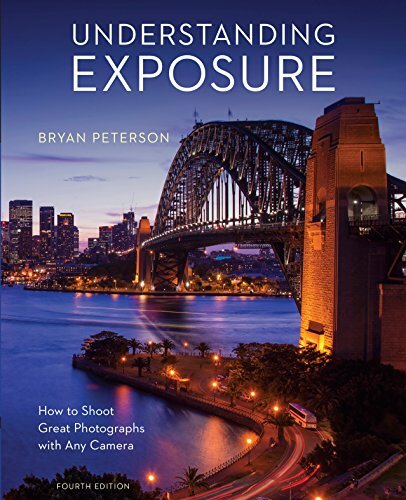 The photography is beautiful, and the text is full of interesting facts, many of which I’d been unfamiliar with. 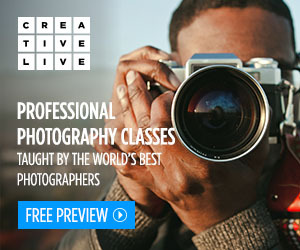 This is not a field guide, nor is it strictly a photography book. Instead it is a book for those who love birds, who always look forward to spring, and who long to get back outside to watch (and perhaps photograph) the amazing colors, behaviors, and beauty of the Wings of Spring.